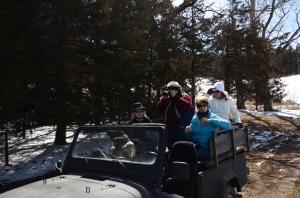 DAY 1 (Sat, March 24): Denver to Kearney ~ Morning carpool departure from Denver for drive to Kearney, Nebraska with birding en route. Watch as thousands of cranes return to their roost along the Platte River during an evening blind session. 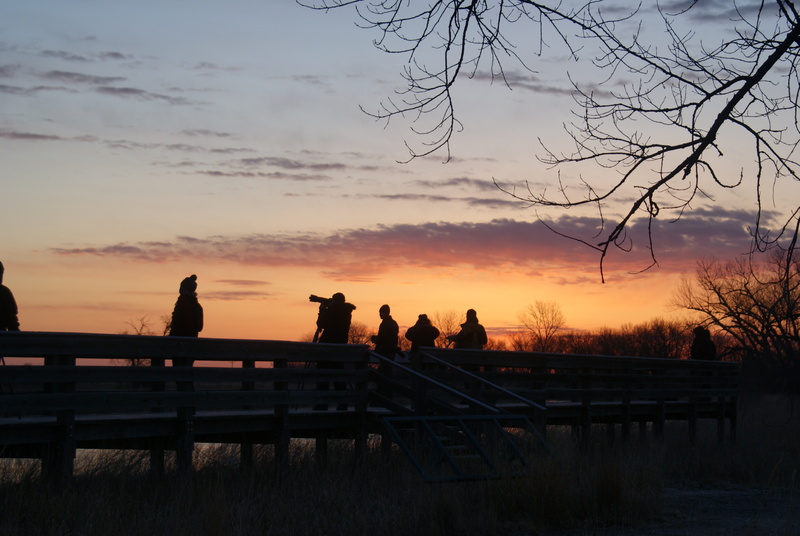 DAY 2 (Sun, March 25): Kearney to Switzer Ranch Prairie Reserve ~ Wake up early this morning and head to the Platte River in time to see thousands of sandhill cranes fly from their evening roost to feed in the fields nearby. 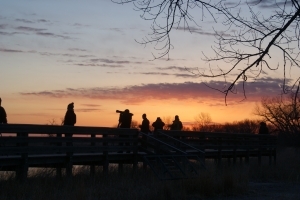 Enjoy time for birding along the Platte before heading to Switzer Ranch Prairie Reserve located near the town of Burwell, Nebraska. The American Bird Conservancy has described Nebraska’s Sandhills as “the best grassland bird place in the US”. 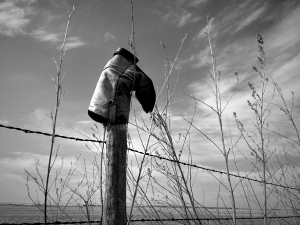 Switzer Ranch employs modern, cutting edge stewardship practices to conserve native prairie and the wildlife it support and is one of the first ranches in the area to explore ecotourism. 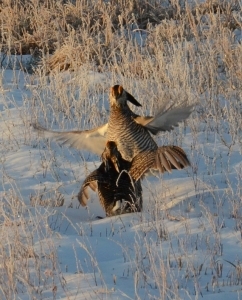 DAY 3 (Mon, March 26): Switzer Ranch Prairie Reserve ~ Today begins early with a visit to a greater prairie chicken or sharp-tailed grouse lek on the ranch. Observe outstanding dancing displays by males as they try to move up in the social hierarchy and gain the attention of hens. After breakfast, explore the ranch during a guided 4×4 Jeep tour while learning firsthand why these grasslands are globally significant. Day 4 (Tues, March 27): Switzer Ranch Prairie Reserve to Denver ~ You’ll have another early start today with another visit to a lek on the ranch. Travelers will have the opportunity to visit a sharp-tailed grouse lek and a greater prairie chicken lek during their stay at Switzer Ranch. After breakfast at the ranch, head back to Denver with time for birding en route. Price: $795* per person based upon double occupancy. Price includes accommodations, guided birding with spotting scopes, activities and meals as listed in the itinerary. A donation to ASGD will be made on behalf of all trip participants. Exclusions: fuel (to be split among participants). *A 3% discount will be applied to payments by check. Single rooms are subject to availability.